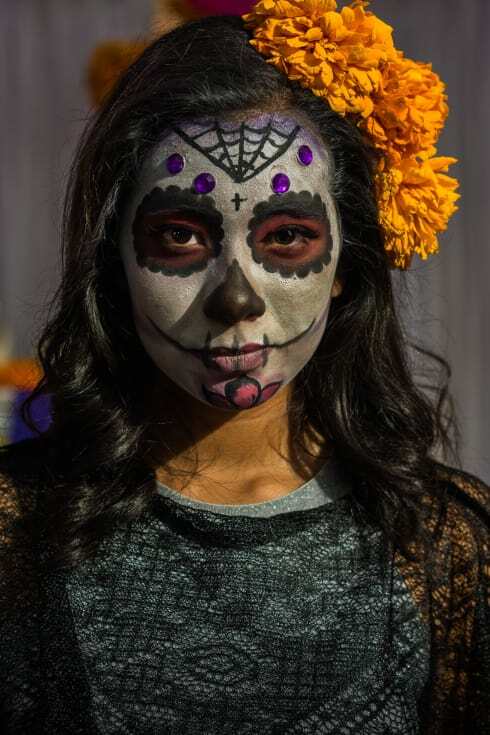 La Catrina has become an iconic part of the Day of the Dead since its modern rendition was introduced in 1910 by printmaker José Guadalupe Posada. Each November 2, students from the local preparatory high school in Chapala, Jalisco, set up dozens of elaborate altars for an entire block. The altars are not for friends or family, but important figures out of Mexican history, from heroes of the Revolution to the slain American star Selena. Some well-known local business owners and personalities are also honored, along with some international people, such as Humphrey Bogart or Nelson Mandela. 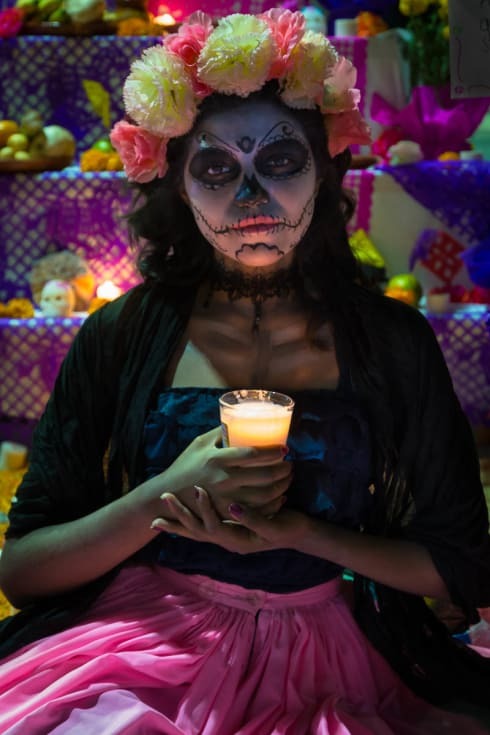 Many of the altars come with students dressed as catrinas of the deceased, and several thousand people from Chapala and the nearby villages come to hear them recite their life story. Students get graded by teachers and winners are decided at the end of the night. 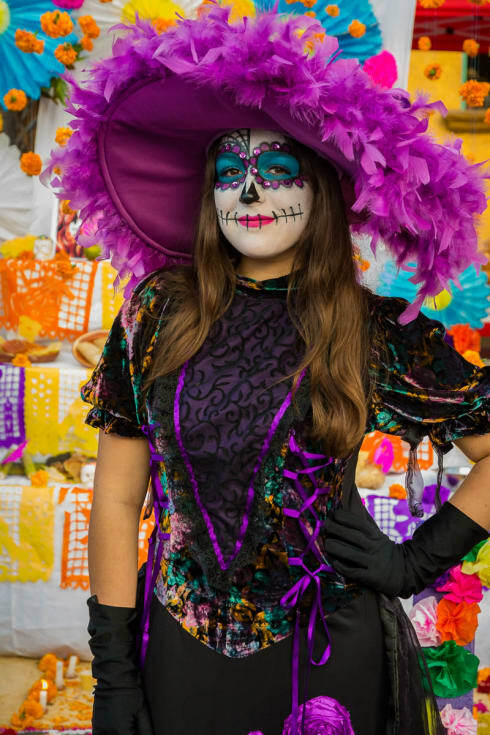 A catrina in Ixtlahuacan de los Membrillos. 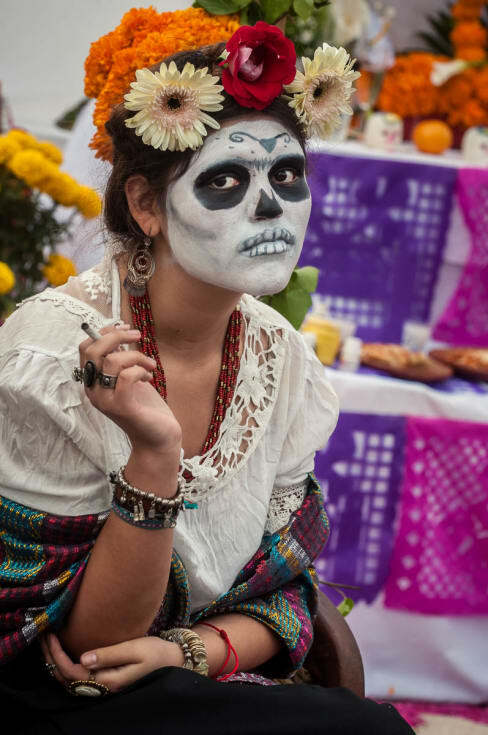 Frida García dressed as a catrina of Frida Kahlo on the Day of the Dead in Chapala, Jalisco, Mexico. 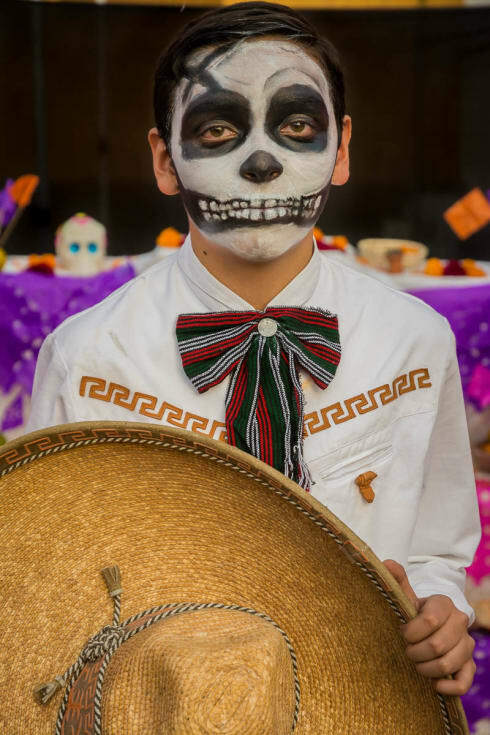 A catrín ballet folklórico dancer on the Day of the Dead in Ixtlahuacán de los Membrillos, Jalisco. Two catrines refuse to let you pass without first taking a photo on the Day of the Dead in Ajijic, Mexico. They were gathered with relatives, both living and dead, at the family plot in the local graveyard. 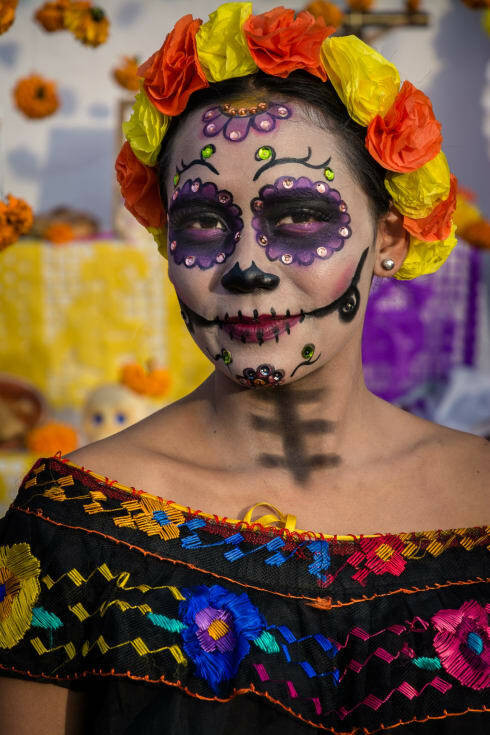 A catrina on the Day of the Dead in Chapala, Jalisco, Mexico. A catrina in Chapala on the Day of the Dead. 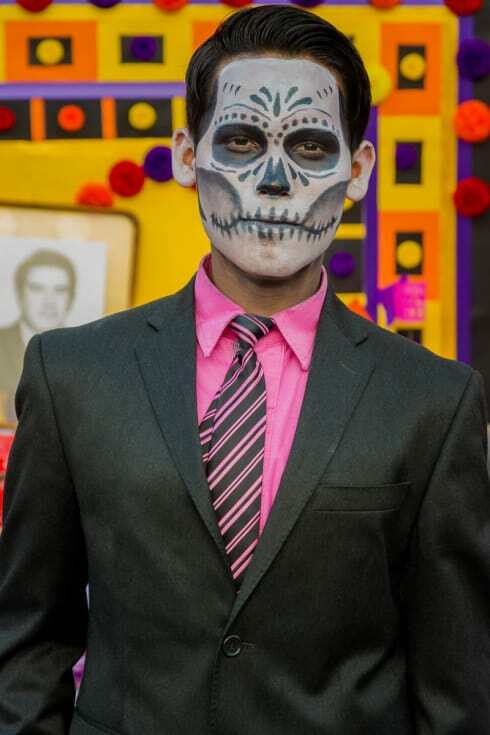 A catrina in a contest for best catrina bride in Ixtlahuacan de los Membrillos, Jalisco. 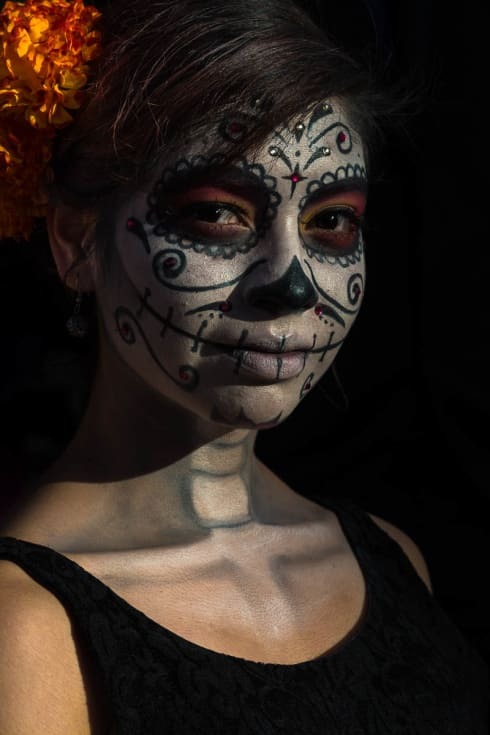 A catrine on the Day of the Dead in Chapala, Jalisco, Mexico. 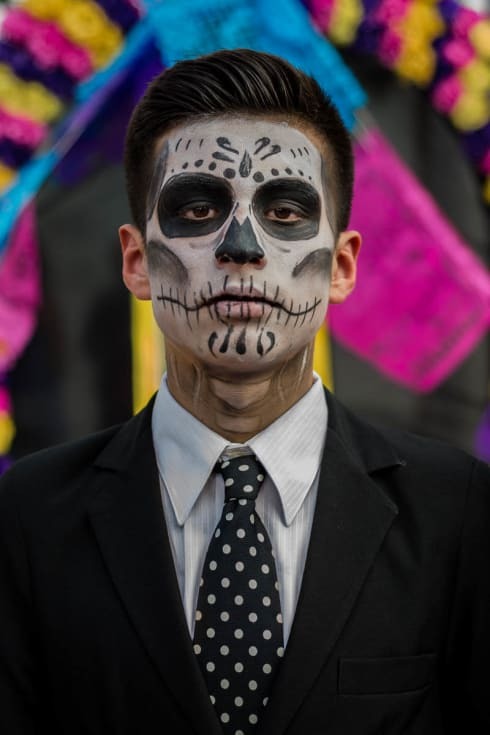 A catrína ballet folklórico dancer on the Day of the Dead in Ixtlahuacán de los Membrillos, Jalisco. 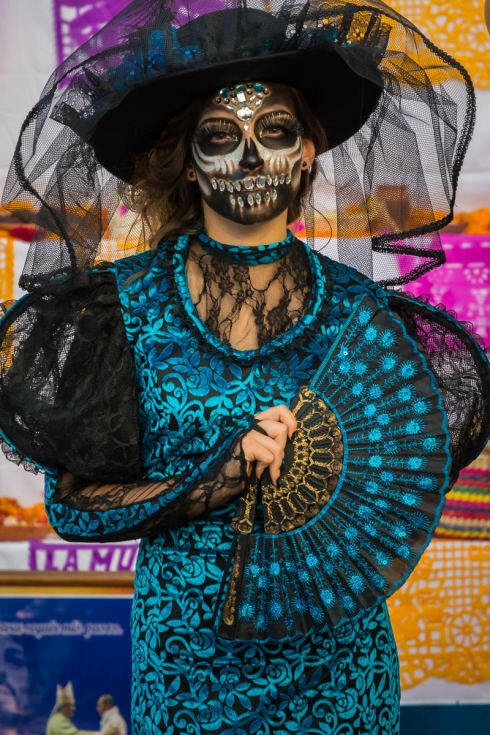 A catrina in Chapala, Jalisco, on the Day of the dead. Catrina on the Day of the Dead in Chapala, Jalisco, Mexico. 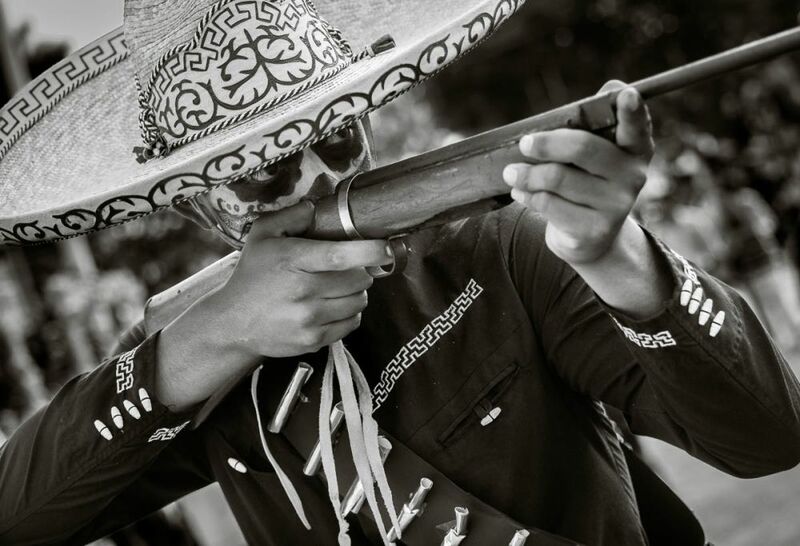 A catrine dressed as a soldier of the Mexican Revolution on the Day of the Dead in Chapala, Jalisco, Mexico.